A universal truth, consumers must know the facts of food. The impact of what reaches the dinner table is far greater than the resulting personal gain or satisfaction. Domestic US food production does not account for waste, environmental impact nor ecological footprint – that’s our actuality! We’ve flattened a circular process into a frozen rope. These additional costs from mining the soil without replenishing systems needed for self-sustaining nutrient cycling have created a never ending waste-stream and defined an intensifying need for persistent inputs. Despite wellness to consumer becoming of greater concern, a “true cost” of our linear food production is only just beginning to be realized with scarcer proximity to natural resources, and has yet to be incurred at the cash-register. With no scope nor expectation of re-payment of this tax, we’ve externalized these “true costs” of cheap food to lessen the vitality of the whole system. When you break down all the factors, the Dutch have a compelling story of free-market success. Business working to help control their own destiny is a much better way to go through transition vs. a fight where you wait to see how hard the stick will strike. Numerous large companies in the Netherlands were proactive in servicing the changing desires of consumers for safe and nutritious food. Getting ahead of the regulatory curve by looking backwards to move forward, it was realized the authenticity in Dutch food production and provenance of farming became worthy of growth & advocacy. 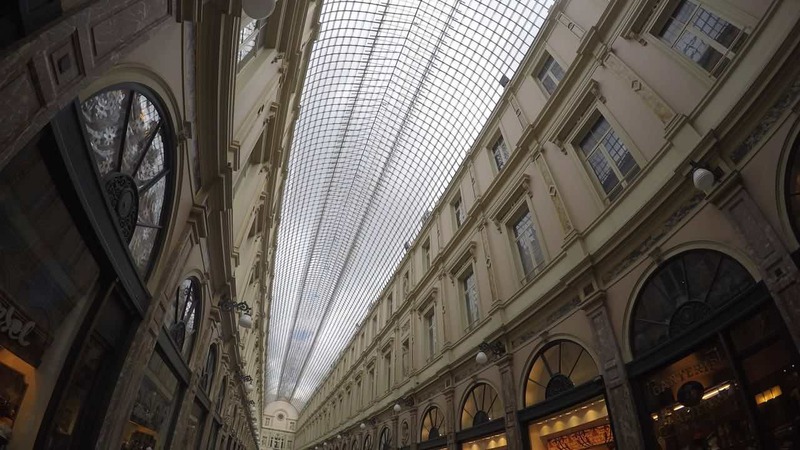 All the beneficial environmental and ecological impact was not just icing on the cake, but instead the core to a successful transition to circular. An epiphany came during my fellowship with proof that not only is this the proper thing to do, as this planet is the only home we have to live, but it’s better business. ROI in converting and operating a circular approach has shrunk significantly in the last decade. System efficiencies, lower cost of waste stream and production inputs, economies of scale, better innovation & technology have all taken part in lowering the entry cost of producing circular. As increasing input costs compound with further requirements for more synthetics to produce the same volume of crop, it’s becoming hard to argue that the longevity and ongoing expense of circular is not a cost saver. Like the Dutch has demonstrated, if we employ this refined perspective as part of a true cost of food – taking into account a destiny of further regulation, increased expense and a change in consumer sentiment not be serviced – this puts new glimmers on leaders stepping-up to become accountable for our food actions. We’ve done a nice job of justifying a lack of accountability for being grand-scale litter-bugs of linear perspective in the States. As the 800lbs Gorilla in global food production, reducing our externalized costs that currently accrue on ecology and the environment will be of great interest to many. Repackaged as opportunity for potential growth, mitigation to climate change, and that of risk mitigation against a public health concern & loss of market-share – we can embrace our mounting waste-streams and that of the imprint on planetary boundaries, through changing the short-cut practices putting us in harms way in the first place. Aside from the financial driver discussion, we must start acting like responsible adults in managing this inherited dowery of earth’s fertility. That is just commonsense that seems to get strained with tainted short-horizon perspective and credulity. As part of estate planning, how is the health of the planet not of greatest concern in passing wealth & wellbeing to the next generation? Best yet, as a leader of any kind – how do you see yourself in other’s eyes? Are you looked up to as an empathetic individual attune to generation next; or a litter-bug on grand scale? To a man, as we still evaluate atwhatcost is cheap food paid – we all deserve much more, and leaders must step-up. To drive broad & diverse consumer adoption of higher-quality food as preventative human and environmental healthcare, many required steps to evolve practice have already been drafted. Learning from close allies, we can gauge success in their tackling of same issue we now face on a shrinking footprint Stateside. From the financial bridge required to support circular production transition; to the appropriation of proper techniques and plans; to a distribution and value-ad frameworks that decommoditize food via technological backstory and provenance; to sharing, testing and monitoring best production practice in reducing the expense of waste in circular agricultural systems – it’s there. So, let’s stand-up like leaders, like parents our kids see us as – to address problems with haste and flip a method of sourcing sustenance corrosive in nature to one taking account for true cost. 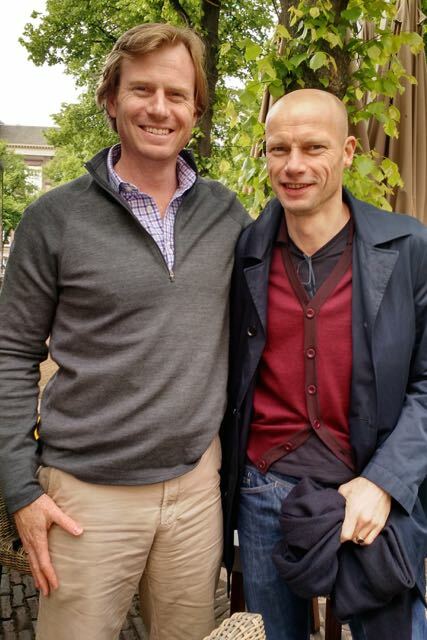 During a trip to the Haag, I had an opportunity to catch-up with Thijs Cuipers – Director of LTO Netherlands since November 2011. 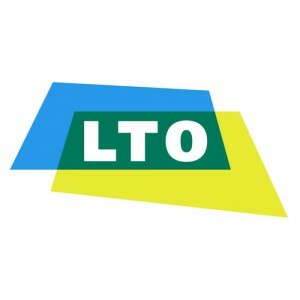 LTO is the Dutch Federation of Agriculture and Horticulture, a union that represents over 65% of produced food in the Netherlands. 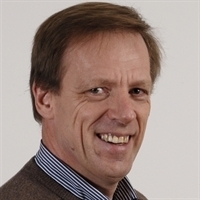 He is also a member of the soundboard group of the Dutch Food and Consumer Safety Authority(NVWA), Deputy member of the Social Economic Council (SER) and Deputy boardmember of the Dutch Employers’ Cooperation Program (DECP). Thijs explained that there are about 50K agricultural ventures of scale in the Netherlands, and LTO represents well over 30K of those farmers. Dairy/Glass-House/ Animal Proteins/tillable production are the big 4, but LTO represents over 80 different agricultural segments. When give the choice to reduce the use of harmful synthetic chemicals, especially those of sprayed pesticides or antibiotics – the farmer universally would be the first to adopt a cleaner and safer way to manage the production process and reduce their personal or that of their families’ risk of exposure. Toxins, carcinogens, hormone disruptors etc. are a scary issue for any parent, especially to those of kids living of the farms themselves. Can you imagine the feeling of those parents who learned that it was their pig farm who had gotten their daughter sick. To learn that she, then the hospital, then concern of national security spawned from practices unknowing. When you do learn of the cause and effect – what do you do with your farm? 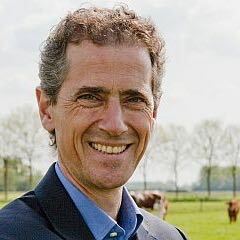 As with many of the meetings with senior leadership, both public and private, Thijs detailed the importance and commitment of his food producers to Circular agriculture, and not linear. 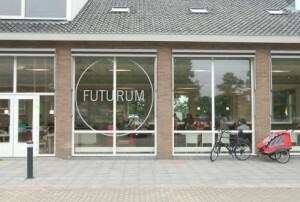 Effectively, there is now limited other way to produce food in the Netherlands. Not just with causation, but considering a growing desire from products exported from these Dutch farming practices, who wouldn’t partake when they’re incentives and it’s in their best interest. As in the States – farmers are ultimately entrepreneurs, they could go rogue and produce food through conventional practice but they’d lose access to that support system. The Federal and European Union incentives and access to broad distribution channel of consistent demand & compensation are reliant on best circular practice, and a circular economy. Thijs was the first to explain to me that only 4% of Dutch production is Organic (or Biologic). I’d come to later learn that many of the practices instituted for a safer food system drove Dutch minimum market entrance thresholds higher in meat, dairy and produce. As stated, the Organic stamp in Europe goes further than that in the States, requiring soil-based growing and numerous other attributes of idealogical process. Thijs was very clear in stating the reason that Dutch foods are known around the world was in direct accordance with first cleaning the domestic Dutch diet by raising those minimums to eliminate public health concerns. Now, with enhanced global interest in their exports of cleaner, and healthier foods – LTO is working with farmers to ensure they receive returns for their investment. We spoke a great deal about the importance of the Rotterdam Port. As the Rhine River gateway to the rest of the world, Rotterdam Port allows Dutch opportunity to not only easily distribute their production via the third largest global port, but also through becoming a mecca of value-ad production and distribution. As the 2nd largest exporter of food stuff in the world, and the 3rd largest importer – establishing a leading voice in production of staple raw materials like meat, milk and produce has afforded ability to vertically integrate the middle-market, and LTO farmers and the Dutch economy have benefited greatly. So, it’s the coexistence with natural order in circular production that affords more LTO farmers greater potential without capacity of expanding their footprint. Those efficiencies compound on themselves through better logistics and sourcing that places the Netherlands as a global superpower in food. One thing is for sure, the Dutch farmers seem well represented. Our Planetary Boundaries are being stressed thanks to commitment to a single model of agricultural practice, amongst other unsustainable luxuries of modern living. It’s our truth, and our nature, that until we feel the impact that can be traced directly to a detrimental practice – we do little to act. Well-known private equity investor Jeremy Grantham is famous for his comparison to the modern middle-class American living better than any king or czar of empires past. Now, as we’ve cheapened resulting product quality and food safety for what seems to be all the wrong reasons; cheap food is not going to feed the entire world as planned, but instead seems ready to further nutrient insecurity and propagate poor human and environmental health. What we can do now is to invest in risk mitigation of both business and environmental imprint through accruing value from the the soil up. Circular agriculture is showing sure signs of being the required flagpole that could rectify many concerning unintended consequences of our wasteful western (now global) culture. Visiting the Netherlands couldn’t have solidified that notion more. That very same book of Dutch forced innovation has established success from a commitment to a single health of the system. Where animal welfare may be the conduit for success, the foundation for the entire structure is the living soil. We’re blind to the level of destruction and overall impact topsoil corrosion and loss will have on longterm capacity to feed a growing population. The majority of Americans have know no clue to the provenance of their food, nor shortcuts that potentially putting them and their family in harms way. On top of that – the question of impact of that food on soil is a rounding error to most. One thing is for sure, learning from a highly effective system of nutrient cycling with 3 Billion years of reducing waste through refinement & efficiency under its belt – the process of circular farming based on biomimicry of ecological best practice utilizes nature’s work-force so ready to contribute to a non linear approach to food production. What’s beginning to be lost, like language of a lost civilization, are the gurus and coaches who know how to properly motivate and empower the microbes teeming in soil. While at Wageningen UR, I was able to catch-up for lunch with one of those soil gurus – Wim De Vries. Wim is a research scientist at Alterra, a Dutch environmental research institute at Wageningen UR. 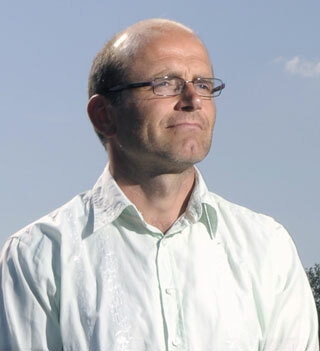 Also a practicing professor, Wim holds the chair “Integrated nitrogen impact modelling”. The focus of his work is the interaction between air, soil and water pollution and its effects on natural ecosystems and the services that they provide. A contributor to the of the European Commission JRC report – The States of Soil in Europe – Wim evaluates threats to soil salinization, acidification, compaction etc. throughout Europe. Wim had insightful perspective on the requirements to transition to a more sustainable food production system in the US based on the numerous projects he’s been involved in throughout the Netherlands. In our discussion, I found interesting his more conservative approach relating to conversion and operating costs of circular sustainable agriculture. His point, and probably a better way to evaluate it, Circular practice transcends the entire short-horizion discussions of price vs. value; it’s instead based on known issues of depleting resouces and increasing demand. So embrace it – it’s the inevitable future of food, he explained. Short-term matters not if the system is destined to be corrupted. Wim, and many of his peers at Wageningen have decided to learn from it, and see how food and natural resource management can keep pace with population. From Wim’s perspective, soil is the unequivocal key to future prosperity needing a precautionary global plan to managing this unaccounted for resource of epic importance. There are billions of microbes in every tablespoon of soil. Varied biology by the millions living in a complex maze of bug hotels that help glue together this aggregated host called soil. Natural plants grow as a result of this microbe, bacteria and fungi food chain; a web where omnivorous bugs deliver plant ready nutrients along the way – simply as part of their waste or survival stream. Coined by legenardy soil biologist Elaine Ingham as the “Soil food-web”, clusters of energy, plated and served to the next trophic level, this nutrient cycling is where the bugs are supposed to make the chemistry to feed the plants. Conversely, the synthetic chemicals of conventional agriculture slowly destroy the needed bugs with salt steroids tricking the plant into growth. Devaluing the system integrity with lopping off links in the chain fosters a requirement for more pesticides, herbicides and fungicides which eventually further empower the “pests” ability to regenerate and become resilient to our synthetic defenses. More synthetics, higher in potency, are needed to produce and protect a yield of increasingly questionable in taste, quality and nutrients. We’re going to lose this battle as the bad bugs always come back first, and with harder vengeance. It’s hubris to think we can even understand the magnitude of the complexity below the soil surface, never-mind trying to control it. Simply, the meaning of life, at least with soil, comes from a ratio of fungi to bacteria, kicking off the process that determines which seed germinates and what plants flourish. In the proper skilled & knowledgeable hands, the process of succession becomes the building block of the food chain, which can be understood and harnessed with granular control. Knowing how to influence an army of microbes has seen proven success, even in small scale in the US. This meeting with Wim was one of my favorite conversations of the entire Fellowship program. We ate at the on-campus “restaurant of the future” and discussed the orchestration of nutrient cycling happening throughout soil trophic levels. A bit of my backstory to further detail my interest on soil. I first got into food through soil, via a project for the PGA Tour. 10 years back, I spent time under the tutelage of Elaine Ingham in Corvallis Oregon- studying how to grow safer and more sustainable turf for golf. There was some turf talk, less for ornamentals but more for grazing ruminants, and everything else focused on the power and capacity of living soil to produce food. Becoming a father earlier that year, the information came at me like an avalanche at that point, a learning cliff that would forever change my perspective, and purpose. There are just some things you can’t unlearn; and compounding after nearly a decade of fevorish work and passion, I’m at the point in believing that in order to rectify a few concerning wrongs- working with the circular economy teeming in soil is the only way. reducing waste & inefficiency as Planned systemic obsolescence is the proven process of circular ecological refinement. The Western reductionist approach is our only premise to apperception of living soil, something we barely account for in all sectors of US food production. Across the board of conventional food, there’s a lack of understanding for how the system really works. We know small parts, some granular, and we try to control with synthetic chemical inputs. Those inputs, and the pest preventative synthetics required as a result, have unintended consequences, including killing nature’s work-engine through sterilizing soil-biology. To keep pace with past years outputs – more synthetic inputs with greater utilization are required. Simply, the focus of conventional agriculture is to feed the plant, where as a circular approach feeds the soil – thwarting persistent increases in input utilization and cost. Destroying many links in a natural soil food chain that happen below the earth’s thin skin – we persist in cutting off our nose to spite our face. If operating costs do go down, and Wim’s point of an inevitable future of concern with crop supply from conventional practice to meet increased demand for nutrient security comes true – the economics to transition to circular prove increasingly advantageous. What became evidently clear while in the Netherlands, all these folks doing business in circular agriculture are in a different league. Wim and the rest of his team, his students and all others discussed in this essay series have established a support system, a Golden Triangle complete with free-market and incentive economic drivers fueling their scientific research of natural order. Too often in the States, our thought leaders in alternative agriculture spend much of their time countering or defending validity. Science in the Netherlands is premised by the discussion of system & Soil. 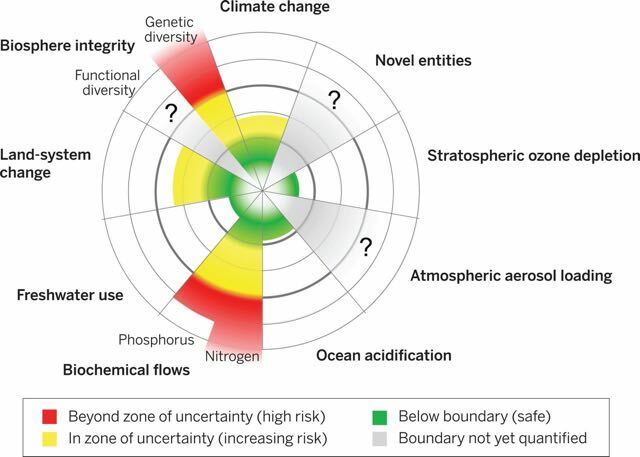 A spiraling layer a top the globe – the green zone is the safe operating space, the yellow represents the zone of uncertainty (increasing risk), and the red is a high-risk zone. The planetary boundary itself lies at the intersection of the green and yellow zones. The control variables have been normalized for the zone of uncertainty; the center of the figure therefore does not represent values of 0 for the control variables. The control variable shown for climate change is atmospheric CO2 concentration. Processes for which global-level boundaries cannot yet be quantified are represented by gray wedges; these are atmospheric aerosol loading, novel entities, and the functional role of biosphere integrity. I love talking turkey with people who’ve a unique grasp of soil and that of its broad-reaching and holistic value. Highly respected for his analysis and proposed solutions, what an honor it was to meet with Wim De Vries. One very fascinating part of the discussions was with regards to his involvement in researching and quantifying Planetary Boundaries. Wim explained that the earth needs a “safe operating space for humanity”, and that comes with a better understanding of our imprint on these required resources. About five years ago, 26 scientists identified nine (9) Earth system processes which have boundaries that, to the extent that they are not crossed, mark the safe zone for the planet, and of us. Truly fascinating to think we in the States are barely just connecting the issues of climate change and agriculture, and agriculture on climate change – and these folks are 9 steps ahead! On the train ride home I began speculating to what value this quantification of the planetary systems, or circular systems, could formulate with business for better food. To the likes of Risky Business – an initiative to calculate economic risk of climate change spawned by Paulson, Stayer & Bloomberg, it would seem a holistic demonstration that abusing planetary boundaries is premise for impact of climate change being larger that only sea level rise and weather changes; one that instead looks at systems we’re part of circularly and not linearly. After decades of soil misappropriation, nearly one third of all quality topsoil has been eroded from the U.S. farm belt. With no soil tilth (structure), as found with proper verve of ecology, more than 80% of these expensive synthetic chemical nutrients (water soluble salts) flow right past the plant roots, draining wallets and stressing water quality to environment of a different axis. At the same time, plant requirement increase as poor soil structure can’t retain nature’s capacity to co-feed this plant, requiring a greater synthetic fix. The more you use, the more you need! To this, the conventional fertilizer and pesticide problem can be compared to a global drug addiction in dire need of intervention. Track-records has demonstrated that once growers are hooked on soluble synthetic nutrients and non-selective pesticide programs, it’s increasingly more difficult to turn a profit. Increasing scale and size will only take us so far before the ceiling is reached or the floor erodes. Depleting a natural resource designed to be regenerative, it’s not farming in the western world, it’s better defined as mining, and it’s just not financially sound and it’s sure doesn’t make commonsense. As footprint requirements are destined to grow and population density intensifies, we should learn from folks who’ve already lived through a squeeze and come-out smarter and more nimble. I find this most telling in the dollar & Euros of the Dutch economy, especially from those shepherding free-market capital expenditures. Epitomizing this is the superpower bank of agriculture, Rabobank. 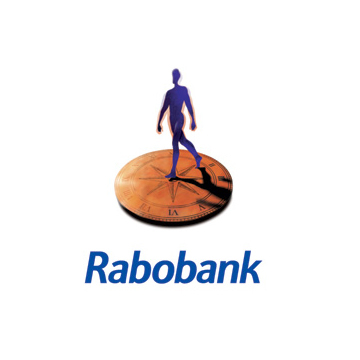 Holding a market cap nearing a 3/4 of a trillion Euros, Rabobank stays true to it’s roots as the farmer’s bank. Through vehicles debt and equity, Rabobank have fully vested circular agriculture as the model of the future. When you look at all the factors, and reference future trends – this is what that commonsense looks like. 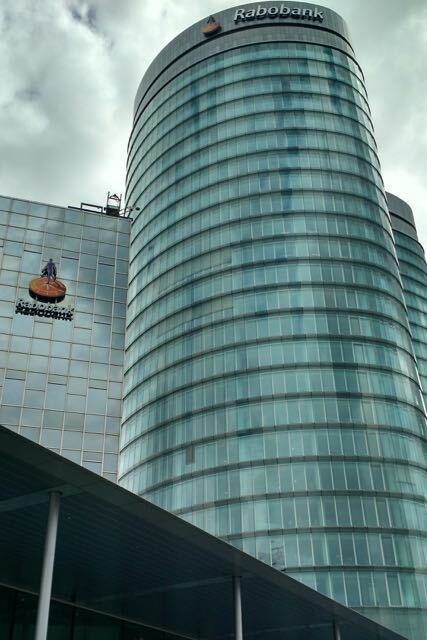 I was welcomed to the Rabobank home office in Utrecht Netherlands by Marjan Van Riel. As Business manager for food and agriculture for the bank, Marjan is a very busy woman. Now, in this role for 18 months and coming from a previous position leading strategy at Wageningen, she’s had opportunity to blend together many disciplines leaned recently with those gained over a decade prior in the private sector as an executive analyst at a top Dutch feed company. It was obvious in our discussions that Marjan was well versed in food, faming and financing. We headed-up to their temporary office space, part of a transition plan to a new facility built to deal with consistent growth of employment now topping 60,000 globally. Joining the meeting was Thomas Ursem, CSR Manager, Rabobank International. Thomas was a stoic presence; he added wonderful notes of wisdom throughout the conversation. He is responsible for coordinating the sustainability activities for Rabobank worldwide, supporting the sustainability network of experts and advising the business on integrating sustainability in the business, both in risk processes as in the commercial relation. He explained, the focus of his work at Rabobank is creating sustainable supply chains, with a personal focus on remediating the environmental catastrophes happening with modern palm oil mining. Marjan is a unique presence. Engaging, insightful and judicious in her questions regarding my fellowship studies and resulting proposed plan. I felt like I was being interviewed by a true expert in reading human emotion and passion – a Katie Couric of global agricultural banking. I was told, Rabobank is “the Bank for Food” with focus on fueling greater sustainable practice. Marjan and Thomas both detailed how we need a business-like global transition to alternative production, and the only way to get there quickly is through properly allocated capital. This is done through a few methods, mostly by developing vertically integrated investment stacks that affords growth via cash-flow, as well as support of different types of innovation economies. As a large multi-national bank operating in 40 countries, many of the their financial allocations have been focused on the large Dutch production & wholesale distribution market, but they’ve launched separate efforts to service new technologies or greater global expansion. I picked-up many things during my discussion with Marjan and Thomas – both who’ll have direct responsibility in furthering Rabobank as the bank of future agriculture. Mostly, what I took out of this discussion was the matter-of-fact language used in describing results of savvy financial plans that already return investors & shareholders proper returns for investing in food as preventative human and environmental healthcare. – Circular production presents reducing waste as nothing but fiscally savvy commonsense. As the World teeters on the cusp of a Malthusian catastrophe unlike no other, for the first time in history to realize resources and unbridled growth are increasingly finite, more mouths turn to conventional practice for nourishment, and instead receive food-systems taxing to soil, body & environment rife with catastrophic backlash. Litter is contagious, and that surely doesn’t make it right. Despite, the vast majority of US agricultural practice is linear and exposed to the very environmental and ecological forces it forgets about. Through utilizing best practices in harmony with natural order, countries of limited footprint the Netherlands or other of increasingly squeezed resources like Isreal and Australia lead the way in establishing methodology for broader adoption of Circular practice by reducing or recapturing waste as a method to inherently finding efficiencies in One system Health. This brought me to Gijs Kuneman – Managing Director of the Center for Ag and the Environment (CLM) in Culemborg, Netherlands. 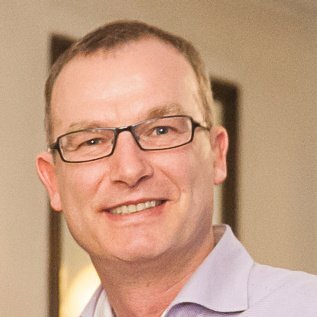 Director of CLM since 2007, Gijs is responsible for the day- to-day running of the company, its direction and customer relations. He explained, the key is to not get married to either side, and instead connecting environmental stewardship with proper farming practice throughout. He has been directly responsible for building this bridge between food production and environmental best practices by acting as a mediator that utilizes facts and outcomes mutually beneficial to business and environment proponents. CLM is an independent consultancy established in 1982 working in the field of sustainable food, farming and rural development. CLM carries out research and advises government at all levels, from local authorities to the European Union, as well as companies and non-profit organizations. Our expertise is rooted in professional practice and supported by our network of 250 farmers. It was a very interesting discussion. Gijs knew his stuff, and was supremely well connected politically and amongst the business community. Where he and CLM differentiate from most NGOs Stateside is their willingness to find diplomacy between the establishment of business as usual and the growing voice of a more environmentally and food conscious society. Holding the framework together, Gijs seems proficient in using empathy as glue to keep interests & results aligned. 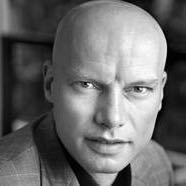 While in the Netherlands I learned of Henk Ovink; a Dutch national who at the age of 47 had already established a global reputation as the man-for-water. During fellowship travel & meetings, Henk’s work throughout the Netherlands and that of the United States, came to light often. Most noticeably, his captaining the launch and orchestration of the epic Superstorm Sandy rebuild. So impressive was his knowledge and insightful plan – United States Secretary of Housing and Urban Development, Shaun Donovan, expedited Henk’s ownership of this supremely high-profile clean-up & rebuild effort through a creative trade relationship engaging Henk as special water envoy to the US. At this point in time, when the United States of America is making-up new titles for you – you’ve got some good things cooking. Entering my last week in the Netherlands, after hearing of these accolades of a real-life Aquaman tackling significant problems – I had to reach out to the Grande Dames of Eisenhower Netherlands and ask for help in setting-up a meeting with this guy. And they did, quickly opening the doors for which Lia from APEP again executed. We had a meeting arranged that next Monday, a holiday in the Haag. To establish some scope as to why I was so intrigued to meet with Henk – water is agriculture; especially all future agriculture. It’s vitally important to learn how to better maintain reservoirs increasingly stressed to serious jeopardy; how to properly store water in the sponge of topsoil; how not to contaminate our vital building block which literally is our essence; and how to deal with risks of drought, flood or destructive forces of sea or fresh water-surgence to current food production. With 70% of global fresh-water currently being allocated to agricultural irrigation, and known expansion plans of demand and imprint – as we begin to see conventional production pressing closer to an impending ceiling, water seems destined to be the instigator of change in food. A modern stab at a food-plan that tackles water issues would prevent further risks of failure like drought in California, or that of the looming possibility of a 2nd dust-bowl when the Ogallala aquifer that stitches together overwatered production in our breadbasket reaches point of no return. Often defined as next oil, I think water is a hell of a lot more important than that; without access to ample water to raise food from plant nor animal- we’ll fail through our food, thanks to water. Henk and I caught-up at a outdoor cafe in the Haag. He’s a smooth cat, with big plans. I enjoyed our conversation greatly; his work ethic was as apparent as his intent. The results he’s demonstrated with engaging public and private sector is inspirational. 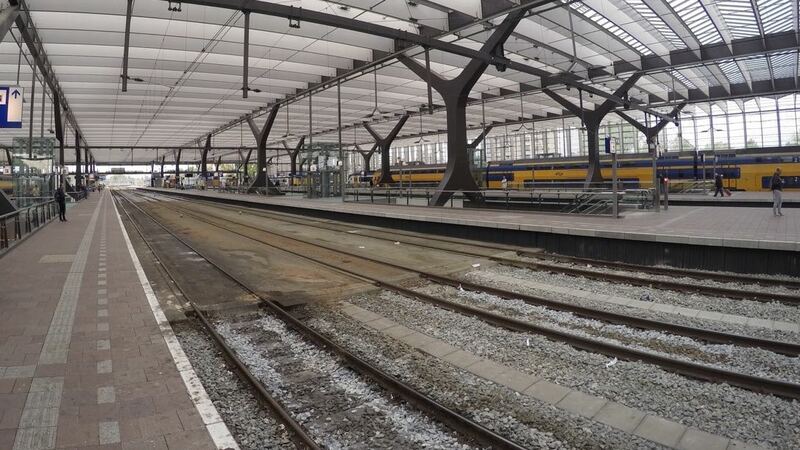 He explained that without strong dykes and buffering of canals – 60% of the Netherlands would be underwater. Basically, the entire process the Dutch have adopted and built innovation around is – instead of fighting water, embrace it with open arms. This stems from a same vein that looks for innovation in water, including agricultural models that originated wind-mills, and channels to buffer floods through properly storing water for future irrigation. Henk’s model for SuperStorm Sandy pulled together best innovations and technologies in a creative manner. Supremely smart planning followed suit, and his use of an innovation economy has and will go a long way in affording better resistance during times of stress or disaster that will be proven not only immediately in Long Island sound, but around the US and globe as much of these best practices are being shared, and scaled for global consumption. Most recently, Henk and the Dutch government began a plan to foster greater water ingenuity. One of the booklets provided at our meeting, Water Innovations in the Netherlands presents 35 different innovations dealing with a diverse way to best utilize or prevent water catastrophe. In March 2015, Ministers Schultz van Haegen (Infrastructure and the Environment), Ploumen (Foreign Trade and Development Cooperation) and Kamp (Economic Affairs) appointed Henk Ovink (47) as the first Special Envoy for International Water Affairs for the Kingdom of the Netherlands. 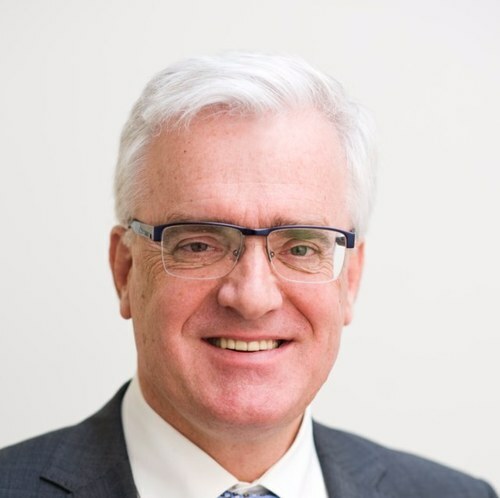 In his capacity as thematic ambassador, the Special Envoy for International Water Affairs reinforces Dutch ambitions in the water domain; he contributes to boosting the international market position of Dutch know-how and expertise. The key task of the Special Envoy for International Water Affairs involves economic diplomacy: as the ambassador for the Dutch water sector, he is responsible for maintaining good relations with foreign governments, knowledge institutions, umbrella organizations, coordinating and representative bodies, the business community and civil society organizations. He establishes connections with the other relevant top sectors (energy, agriculture, the creative industry). He collaborates closely with Dutch Embassies, Consulates and Permanent Representatives. He also maintains direct contact with bilateral and multilateral actors such as the World Bank, the United Nations, the OECD and the EU. He’s representative of the Ministers at international water meetings. Henk previously held the position of Deputy Director-General of Spatial Planning and Water Affairs at the Ministry of Infrastructure and the Environment, and Director of National Spatial Development. Mr. Ovink currently serves as a senior advisor to the American Federal Government and the former Hurricane Sandy Rebuilding Taskforce instituted by President Obama. For the reconstruction of the New York and New Jersey region, he developed and lead the ‘Rebuild by Design’ contest, which CNN designated as one of the most innovative ideas of 2013. Mr. Ovink has a long record of service in the business community, education and the government in the fields of spatial planning, water management and culture. Among other activities, he has served as Curator to the 5th International Architecture Bienniale Rotterdam, he sits on the International Advisory Board of the city of Rotterdam, he teaches at Harvard GSD and he advises the Rockefeller Foundation regarding their approach to resilience and water safety. Getting too much water, or too little, is a reality of modern agriculture. It’s the elixir and the expeditor! The contamination of runoff & depleting process of conventional practice is stressing systems once assumed to have ample supply. The circular system gives back, and the more waste you can reduce – the less input and expenditures are incurred the following year – this holds very true for water. Circular also reduces the risk of synthetic toxins and steroids reaching the water system through abstinence; at least that’s what Henk tells me he and his buds at the Hall of Justice are working on. If the only failed diet in the history of modern man is proving out to be the Western Diet, we must asses our current situation in dire need of insight. Until we get our food system back in accordance with with safe and healthy, as the Dutch have proven, we’re likely to pay consequence to our health and that of planet. Best yet, during discussion with Jan W. Van Der Schans I learned that in this past decade the entire mindset and knowledge of food has evolved in the Netherlands. The immersive nature of OneHealth has established a systemic, if not generational evolution of food awareness. Jan W. Van Der Schans is focused on short innovative food supply chains, while researching Agricultural Economics at Wageningen. 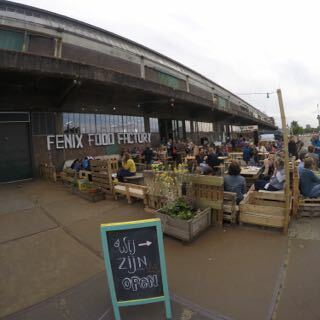 He explained that students, and other millennials in Rotterdam where Jan lives and curates communities for hyper-local food production are the driving force of food values. I explained that we share a strong movement in the US related to Regional or Local food; based mostly on local production being equated with safer, fresher and more nutritious food. What I wasn’t aware going into May’s fellowship was to the extent that countries like the Netherlands had adopted circular agriculture as standard model abound. As mentioned, raising minimum standards spawned tremendous business growth, and even better future prospects arouse out of an supporting economy. Jan’s goal is to empower Dutch products and business to garner regional or city food provenance similar to Italian regions adopting agritourismo to promote a diverse brand, or wide-spread local decommoditization of food and spirits throughout France. It’s only hubris or ignorance to continue to think we can control the system we’re a part of. Instead, there’s unique precedent from food systems around the world on how to redraft a mindset of value through education and remediation of food ignorance – an infestation spread broadly across the US society. The Dutch OneHealth model focused on animal welfare would influence the largest segments of US food system, but it also changes a consumer mindset to awareness in the process. From Noblesse Oblige to environmental footprint – knowing about your food values matters more. This realization seems to be a critical step to change a social error. Intensifying this problem, we’ve been marketed to so often, placing drivers to price and savings rather than value, our credulity has gotten the best of us. We’ve extended blinde-faith to a system asked, designed and empowered to make cheap food that adds calories to the world – and mission accomplished. To win the nutrient security battle, and not the roid-rage freenzy to strip-mine sustenance from caloric for cost – it becomes essential to educate our citizens to take ownership and accountability of their own well-being and long-term health. This is done in many ways, but as Jan points-out, knowledge-share and repetition begins with this immersed generation of teens and 20 years-olds deeply connected with food, and more engaged with agriculture. A movement the US and Dutch share. This declaration shared from culture to culture within the Dutch society now representing 150 ethnicities – empowers accountability of personal well-being through better food with backstory – an essential next step in paying for healthcare through preventative methods. In the short 30 year lineage of modern genetic engineering that jumped shark to transgenesis, we’ve resulted in 92% of corn (maze), and 94% of soy (soya) produced Stateside to now be of modified seed stock. What seems so different in our approach in governing the building blocks that sustains us – is that with all other top-level determinants in preserving the sanctity of our species – the line of demarcation remains natural order. Except food? This era has set into motion a cascade of events that has led us to point of questionable and corrupt practices influencing the masses. Who knows if it’s the GMO, but looking again at the precautionary principle here – why is it not the responsibility of those performing transgenesis Genetic Engineering (GE) on seeds to own the burden of proof? If a GMO is different enough to own a patent for being unique, it’s different enough to be expressed to the consumer. One thing is clear to me from this entire GMO discussion. There is a growing group of engaged consumers looking under the hood with a skeptical eye. The over use of persistent pesticides is alarming, herbicides have become as common as seed, water and fertilizer, and many are often engineered to only work together. Do we really know enough about these “positive” results to bet future of our seed-stock on 50 years of science that is now proving its test subjects of the Western diet fatter and chronically ill. This instead demonstrates empirical evidence to look more in-depth. Now, whether those results are only habitually bad eating, or from the raw materials – as pragmatists leading industry and regulation – we should hedge outs bets through diversification and investment in new innovations. Doubling down on what could be defined in history as the steroid era of food, just doesn’t make commonsense when consumer demand is suggesting otherwise. For those vested in the world of GE food – the concept often boils down to transgenesis vs cisgenesis. Cisgenesis empowers the use of naturally manipulating attributes of plant and seed stock – a practice including grafting and hybridization employed globablly for over hundreds of thousands of years. Transgenesis in not. Effectively, it’s a petri dish manipulation of intrinsic seed values through long-standing tournaments of Russian roulette with effort to gain attributes of perceived enhancements borrowed from other trophic kingdoms. It’s something in serious need of re-calibration. We’ll lose the battle of resistance on our soils, as discussed above the bad bugs of biology come back first in a broken system – and their super-charged and ready for vengeance. If different enough to receive a us patent - it's different enough to be made aware of its contents. I don’t think we should ban GE – I think we instead should empower and educate through understanding of certain concerning transgenesis practice. What is BT enzyme really doing in that corn, or your gut? Or, how engineers seeds resistant to allow heavy baths of herbicide glyphosate effects & affects on human and environment – a practice as linear as they come in destroying biodiversity, contamination and waste. Did the original script to feed the world contain this knowledge or intent? The week before my visit to Brussels, the EU decided to let each country make their own decision regarding GE crops. Effectively, many countries already evaluate the line of demarcation for GE being cisgenesis/tansgensis – but no one stepped forward a replicable solution that makes industry and society comfortable. For the EU, representing 28 card carrying countries, they decided to pass it back to the lower Courts of Appeals of each nation. With minimum threshold of labeling, we begin broader consumers awareness and loosen credulity needing of intervention. Mostly, we must empower consumers a framework to make their own decisions in using food as health. Through labelly any product containing any GE product of transgenesis origin, we begin the process of empowering more well-versed decisions. The burden of proof needs to be placed on those of controlling interest to prove the impact on personal & environmental health of these crops to not be detrimental; to prove that the empirical evidence of a fat and ill society has no link to the cheapening of food and devaluing livestock welfare associated to the practices of using their products. That the GE crops do equally well outside linear systems of no regeneration, excessive waste and sterilization of all substrate – to instead thrive in a circular program without the additives. Employing blind-faith that has prevented a consumer the freedom to know the true recipe of what sustains the well being of their families’ comes atwhatcost? If time will tell, results look souring. Some say research into the effects of crossing outside of genotypic ranges and not playing within natural order over the past 30 years has demonstrated concerning outcomes; some say not. I believe there are many other concerning attributes of our food system needing immediate action, detail through-out the atWhatCost essay series, but it seems GMO could be the required mobilization that empowers consumers to focus more on food value associated to nutrition and reduced risk of exposure to known toxins. GMO is a big deal as the crops associated now make up a huge portion of human food, and a larger portion of food animal feed. This “advancement” now showing its age needs further scrutiny, and awareness of the consumer can be the best approach to empowering better decisions. Holding folks to task through advocacy has long-since been a keystone of US culture and society. Who knows if GEs are good, bad or other. I have my theory, as do many, and we often differ even within the same camp. But, keeping the US populations in the dark about something as intimate as what sustains them is the polar opposite approach needed to get more vested in their own personal well-being. Establishing accountability affords awareness that can vastly improve personal health and act as premise so broadly immersive that this awareness of food could subsidize the future of the healthcare through employing the best type of care – preventative.